North American Wood Products offers a wide variety of flooring products, from veneer logs to pre-cut wearlayers, ripped-to-width lumber, and .06mm through 3.6mm sliced and rotary veneers. 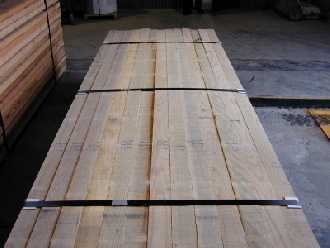 We have been sourcing wood specifically for the flooring industry for over seven years. Our expertise at eliminating the defects that cause trouble in the manufacture of flooring has allowed us to become suppliers to some of the largest producers of multi-ply flooring in the world! 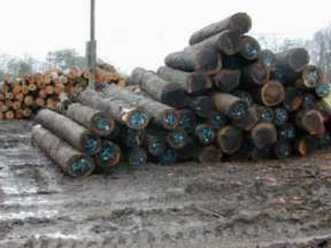 Most lumber is not produced with flooring manufacturers in mind, so we take extra care to select mills who can grade out yield robbing defects such as underwidth, wane, cupping, mineral streak, end check, split and pith. Our veneers can be ordered in a 100% clear grade to allow quick layup onto substrates without defecting. 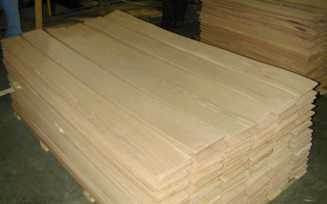 We know that processing the raw materials to produce finished flooring varies from customer to customer and we can provide nearly anything our customers demand. Below is a list of the specialty products we offer that are easily produced into flooring. We can offer many of these products in nearly all of the species on the planet. Many of these products can also be purchased as FSC® Certified. Give our flooring products a try! You will find an advantage over your competition.